What could be behind the death of a soldier that warrants a conspiracy? 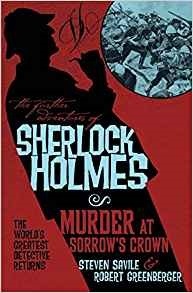 When Holmes and Watson begin to investigate, they are attacked again and again. Some of their attackers are trained assassins from India. Holmes and Watson are waylaid both together and on their own. The story is written in two parts. The first gives detail as the case developed. This part was taken away by a very serious agent who works for Mycroft. The second is written six months to a year after the case was finalized. Watson refuses to change the names of persons involved or to sugarcoat the alarming facts. He says the world needs to know the truth, and that by the time this case will be allowed to be published it will no longer matter. This is a very dark case. The Boer War saw many British soldiers killed. There were battles where Britain found themselves on the losing side. This story deals with matters of national defense and raises questions about the death of Benjamin Disraeli. The question really is: What if?